Stay warm and dry in the highly breathable Team 1/4 Zip Micro Fleece. 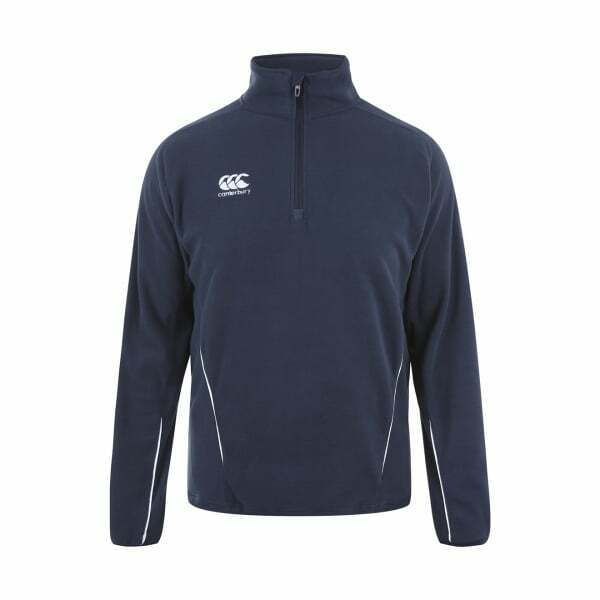 Using Canterbury’s cutting-edge fabric technologies, this fleece features moisture-wicking Vapodri thermoregulation, which mean you’ll stay drier and more comfortable even during intensive training. This durable fleece is made to last and offers freedom of movement, allowing you to perform at your best. The 1/4 zip collar, bound cuff, and open hem make this a stylish addition to your wardrobe that’s suitable for the gym, a training session, or even for everyday wear. The embroidered branding features Canterbury’s iconic logo and reflects the quality and authenticity of this classic design, which is sure to help you stand out on the field.